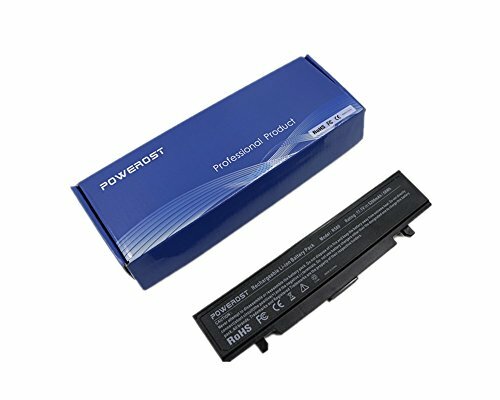 Powerost is a leading high-tech enterprise specialized in R&D, design, manufacturing, sales and service of laptop battery pack and AC adapters. With 15 years' precipitation and accumulation in this industry, to making each purchase Powerost brand products' customers, can experience high quality products and distinguished service. NP-Q530 / NP-R540-JA02CA / NP-R540E / NP-R540I / NP-RF511 / NP-SF410 / NP-SF411-A01 / NP-SF411I / NT-Q530 / P210 / P210-BA01 / P210-BA02 / P210-BS01 / P210-BS02 / P210-BS04 / P210-BS05 / P210-Pro P8400 Padou / P210-XA01 / P580-JS06 / Q320 / Q320-32P / Q320-AS01DE / Q320-AS04DE / Q320-Aura P7450 Benks / Q320-Aura P7450 Darjo / Q320-Aura P8700 Balin / Q430 / Q530 / R428 / R429 / R430 / R463 / R464 / R465 / R466 / R467 / R468 / R470 / R478 / R480 / R507 / R517 / R518 / R519 / R520 / R522 / R530 / R540-JA02 / R540-JA02AU / R540-JA04 / R540-JA05 / R540-JA06 / R540-JA08 / R540-JA09 / R540-JS03AU / R540-JS08AU / R580 / R590 / R718 / R720 / R720-AS02DE / R728 / R730 / R780 / R780-JT01 / RC410 / RC510 / RC710 / RF411 / RF511 / RF511-S01 / RF511-S02 / RF511-S03 / RF511-S04 / RF511-S05 / RF511-S07 / RF512 / RF711 / RF712 / RV409 / RV409I / RV420 / RV440 / RV509 / RV509E / RV509I / RV520 / RV540 / RV72 / SF410-A01 / SF410-A02. Battery type: Li-ion; Capacity: 5200mAh/58Wh; Cells: 6-cell; Voltage: 11.1V.100% New from Manufacturer. Up to 500 recharge cycles over the life of the battery. Operation time: Around 2-4 hours. In reality, this will depend on the amount of electricity required by the device and how you use it. If you have any questions about this product by Powerost, contact us by completing and submitting the form below. If you are looking for a specif part number, please include it with your message.